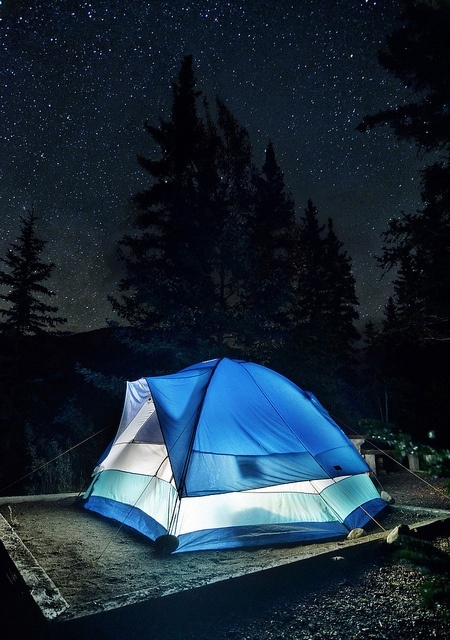 Labor Day marks the perfect time for lots of Americans to go camping. For many, this is their last-ditch effort to spend time outside before school begins and the weather turns cold. 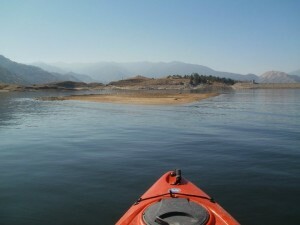 Sure, the campgrounds are crowded, but it's worth it to get away one last time, right? Take off your shoes and relax — summer is still here! If you, like me, are not so lucky as to enjoy pleasant temperatures during this time of year — and if just the thought of spending more than five minutes outside this weekend makes you spontaneously start sweating — join me in dreaming of a Labor Day campathon far away in New England or the Pacific Northwest. Follow my instructions for a Labor Day weekend getaway (imagined or real) fit to suit any blue-blooded American. As always, I welcome you to provide your own advice and inspiration in the comments. 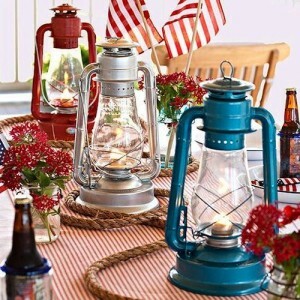 Light up the table with patriotic oil lamps. I just found one in an antique store for $10, so I'm definitely going to break it out soon. If only it were in an adorable patriotic color like these! 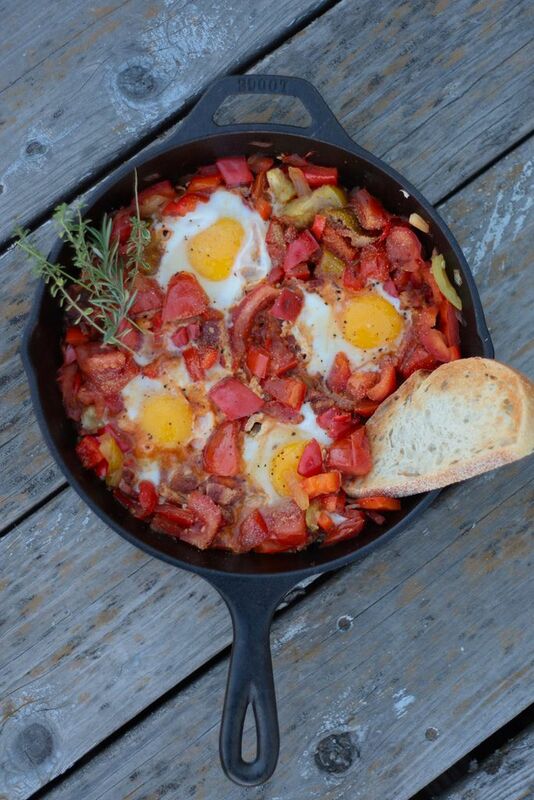 Serve up some yum with delicious food like this egg and tomato skillet dish. Use colors reminiscent of the holiday. 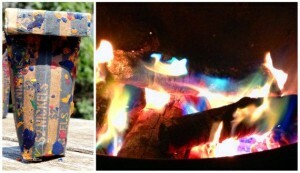 Fireworks in campgrounds are frowned upon, especially during burn bans, but if you're permitted to light a campfire, add some dazzle with a rainbow maker. I bought one of these on Etsy for $5. If you're going camping to enjoy nature, be sure to spend plenty of time in it by hiking, biking or enjoying a lake adventure in a patriotic red kayak! Sleep tight and enjoy your three-day weekend under the gorgeous starry heavens and to the tune of crickets and birds. It'll be time for heigh-ho again before you know it.